I have to be honest here. I have a new addiction: balms. My introduction to balms came from one pricy purchase from May Lindstrom, namely her infamous Blue Cocoon. After falling head over heels for it, I decided to try my luck with others, now including my favorite balm of all time: Mahalo Rare Indigo Beauty Balm. I honestly just want to dunk my whole self into a pool of Rare Indigo and never come out. It's THAT good. 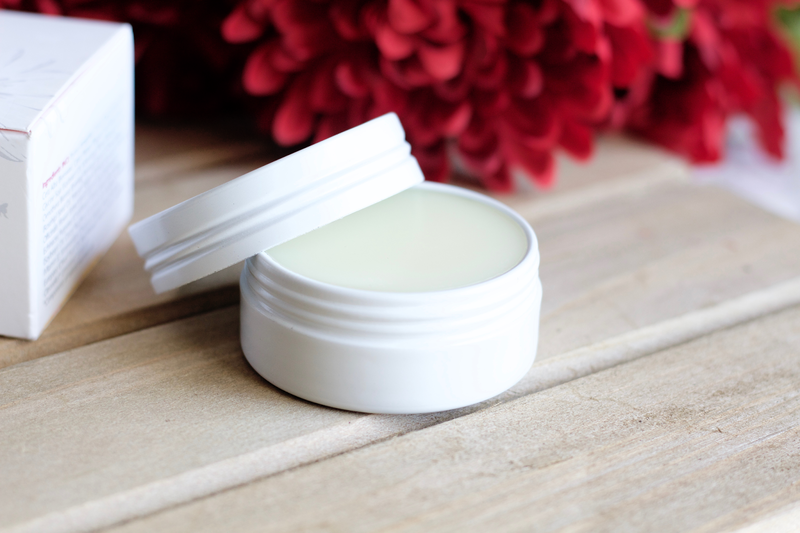 Balms serve a great purpose by provide nourishing treatments and ingredients (much more complex than your typical vaseline), especially good for those who have problematic skin, dry/dehydrated skin, or a serious skin ailment such as rosacea. 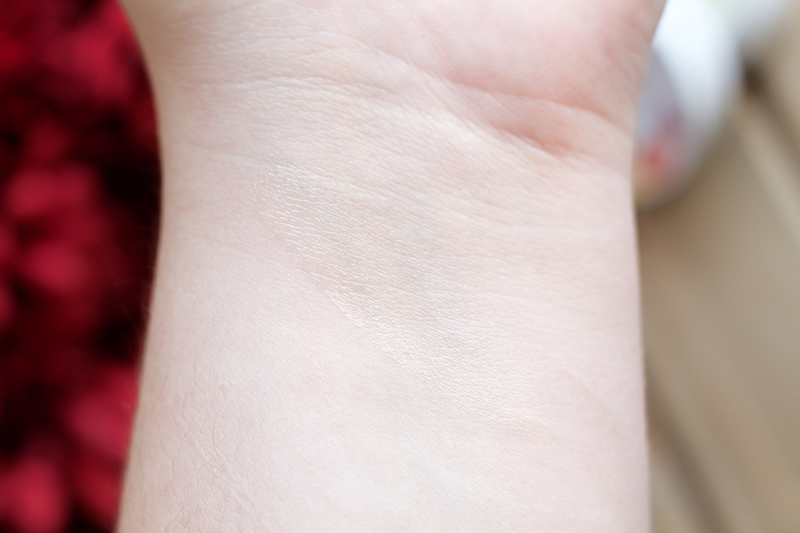 Balms are solids but turn into an soft, oily base once warmed up and massaged into the skin. Some balms are made to be softer in consistency and not as strongly dense as others, so they don't have any real issue of needing to be warmed up to use and it's very easy to just scoop out (I find Leahlani's Bless Beauty Balm and Mahalo Rare Indigo to be this kind). If you've ever been afraid that it might feel too heavy for you (oily skin gal here, I know that fear! ), then it's kind of a hit-or-miss when it comes to choosing. Some tend to be lighter on the skin, such as the Rare Indigo, and others heavier, like the Blue Cocoon. From my own personal experience, the heavier the balms are, the longer it takes to absorb into the skin. Besides that, nothing really negative is attached to it being a heavier type, in my opinion (besides the heavy feeling itself, again a personal preference). All in all though, balms are a pretty vital product in my nightly routine. With the changing season and our skin needing extra hydration and moisturizing, balms even more so are an essential item to have. I also love mixing essential oils with balms, it is the most luxurious and beautiful experience. Balms are not only for the face, of course. There are ones specifically for the body, hands, lips, face, or even a mixture of all. 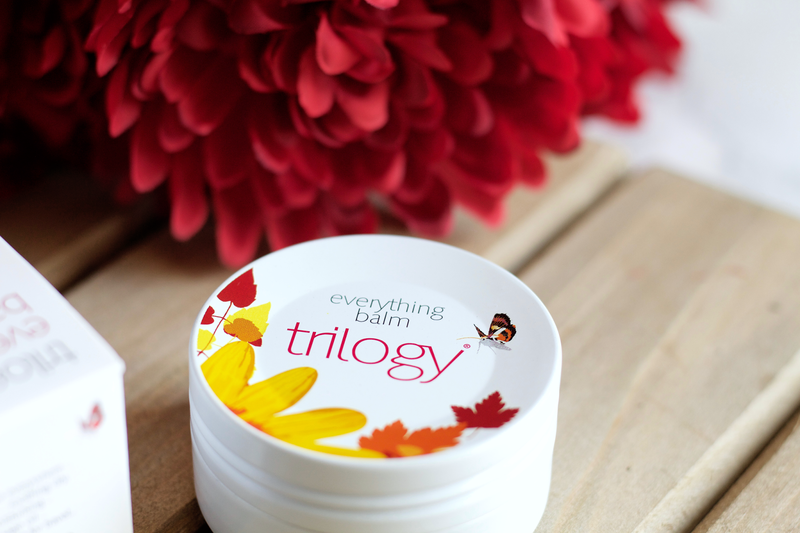 Trilogy Everything Balm* is one of those that is an all-around mixture, using pure plant-oils, butters, and waxes to nourish, soothe, and condition the skin. Its multi-purpose usage allows great flexibility, as it helps to treat numerous conditions, such as dry skin, chapped lips, hair split ends, etc. It also has the ability to be used as a cleansing balm and massage oil. Housed in a preservative-free container, it's the perfect size and amount to take with you on the go. You all know how much I respect and love Trilogy skincare products, and this one only adds to my lovestory with the brand. If you're not familiar with Trilogy, they are a New Zealand skincare brand that dedicates themselves to using natural and efficient ingredients. One of their most popular products is their Certified Organic Rosehip Oil, which has been raved by so many in the blogging world. 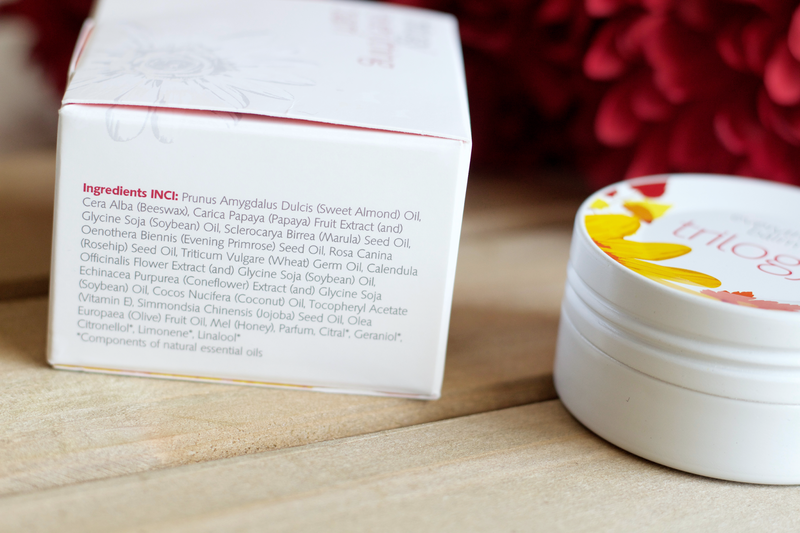 They use plant derived and lush pure seed oils, as well as their own trademarked components (Rosapene, an antioxidant complex combining essential fatty acid-rich rosehip and cranberry seed oils with antioxidants from tomato seed and acai berry, and Glycablend, a blend of pure seed oils formulated to fight glycation, a natural process which causes collagen and elastin fibres to harden and lose their elasticity as we age). They concentrate on using "fine, natural ingredients in their purest form" to produce the best products. They are avid supporters of social organizations, such as: So They Can, which works to empower and educate communities in Kenya and Tanzania, UN Women New Zealand, working to support the fight to end violence against women in the Pacific, and Organutan Protection Foundation, a primate rescue and rehabilitation organization. Not to mention individual social support, an example being their organic Rosehip oil sourced from Lesotho, creating a business trade that helps the local harvesting community. They are also always focused on "environmentally conscious ways to minimize our impact on our world." Two of those ways is by not using plastic microbeads in their exfoliating products and only sourcing recyclables for their packaging, using "sustainable Forest Stewardship Council certified paper and board and biodegradable, non-bio-accumulating vegetable-based bio-inks and varnishes." Trilogy is cruelty-free and does not directly sell in China, but their products are able to be shipped into the country by foreign online retailers (which doesn't require animal testing if the foreign online site is not registered in China; another helpful source here). I have already featured three products from Trilogy on my blog back in July (Hydrating Mist Toner, CoQ10 Booster Oil, and CoQ10 Eye Recovery Concentrate), which you can easily read here. 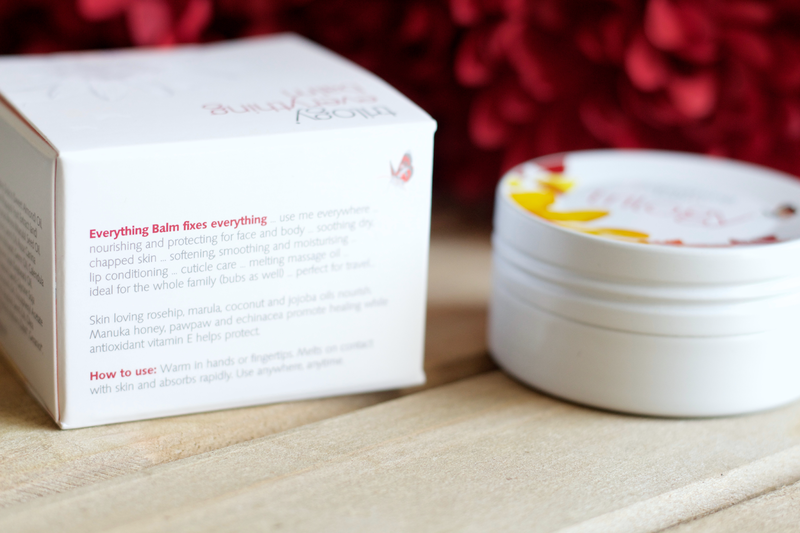 The ingredients in the balm are quintessentially 'Trilogy-type' included ingredients, being packed full of yummy botanical oils and fruit extracts. It's mineral oil free and doesn't include any synthetic ingredients. It works extremely well to condition the skin and restore softness. There are two sizes: one smaller size at 45ML for $22.00 and a larger size (which is what I have) at 95ML for $37.00. Certified Organic Rosehip Oil: extracted from the seeds of organically grown rosehips, this oil is a super food for the skin. The solvent-free extraction process guarantees a minimum 80% essential fatty acid to help hydrate repair and strengthen. Echinacea Purpurea Extract (and) Glycine Soja (Soybean) Oil: promotes skin healing, improves skin texture and tone and provides a nutritive defence against environmental stresses. Marula Oil: native to southern Africa, marula oil is famous for its healing and health-giving properties. Rich in sterols, antioxidants and essential fatty acids, vital to the maintenance of healthy-looking skin. Pawpaw: A skin nourishing oil from papaya, rich in phytochemicals which provide antibacterial and skin healing benefits. It is also rich in antioxidant vitamins A,C and E which help reduce inflammation. Evening Primrose Oil: high in gamma-linolenic acid (GLA), this oil treats dry, dull or damaged skin and is suitable for sensitive skin types. GLA is essential for the maintenance and regeneration of healthy epidermal skin cells. Jojoba Oil: containing pro-vitamin A and vitamin E, jojoba oil protects the skin from drying out while smoothing and strengthening the epidermis. It also has excellent emollient properties to soothe and rehydrate the skin without clogging pores. Manuka Honey: a natural antiseptic, New Zealand manuka honey contains minerals, vitamins and enzymes to aid healing. It is a humectant and helps draw moisture to the skin. Olive Fruit Oil: Olive oil has an excellent fatty acid composition and provides nutrients to soothe, nourish and lubricate the skin. Sweet Almond Oil: a highly emollient oil to help regulate moisture levels and stabilize the natural pH level of the skin. Wheat Germ Oil: a highly-nutritive oil rich in vitamin E, essential fatty acids and antioxidants. Wheat germ oil aids the formulation of new cells, improves circulation and helps repair sun damage. Very beneficial for dry or mature skin, it promotes a smoother, younger looking complexion. Now let's talk about the Everything Balm itself. It is a waxy, solid balm that does well to liquify under warm finger texture. It's translucent and applies as a waxy, oily consistency. It is not sticky at all and absorbs very well into the skin with a light, velvety texture. There are two ways that I find work well when it comes to application. I do best using two fingers and pressing a circular motion on the top for smaller, concentrated placement. When I use it for my face or a larger surface, I use a small spatula and scoop some out. It may be quite solid but it's not so dense that it's difficult to get the product. It smells heavenly, per usual Trilogy's products, and has a light floral/herbal mix scent. The parfum ingredient is sourced from "100% natural essential oil components." I was surprised at first that it really never felt heavy on my skin. It is light in both texture and consistency, but I do prefer to use balms only when I'm going to be staying at home or in my night routine. It loses its shiny, waxy finish once fully absorbed and creates a soft, velvety feel to the skin. I'm always tempted to touch my face when I wear it or afterwards once its fully massaged into my skin, it's just so good. It makes my skin feel so hydrated, like it's instantly restored any lost moisture. Its softening and soothing properties really work so well. I do have to say that if you don't have a lot of the product when applying it, it can be a bit troublesome to spread out. It's why I like to scoop a good amount out when applying over larger spaces, instead of using smaller amounts. This product is great for those who are reaaaaally needing some help, whether you have irritated skin, sensitive skin, dry skin, or any place on the body where you feel needs some treatment. I've used it on my palms, face, fingers, neck, and any place where I feel I have dryness. My skin can get quite irritated in the colder months, so this will definitely be my saving grace for those times. I love that it's small enough to take with me but large enough to house a good amount of product. I do think it's worth it for the price and I really recommend trying it out! Besides buying from Trilogy's official website, it's also available at these retailers (some have differing price options): Amazon, Feelunique (45ML or 95ML), Lookfantastic (45ML or 95ML), and ASOS. Trilogy always impresses me with their products. They have done wonders for my skin and I respect their mission and determination to only use the best ingredients. Have you tried anything from Trilogy? What are your favorite products? *This product has been kindly gifted by Trilogy. See my disclaimer for more information.